Such a fun and creative way to celebrate this 1 year milestone. Your personalized cake will be based on the outfit you will be providing. 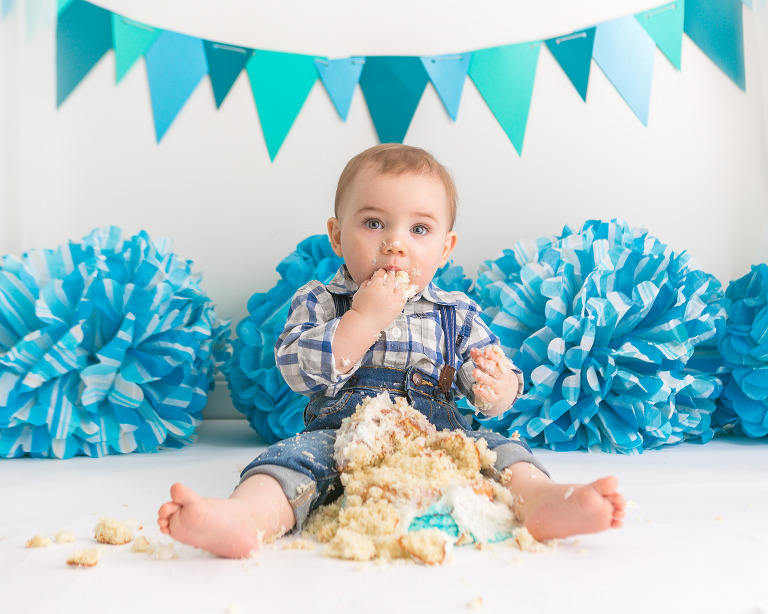 This session we will take portraits with up to 2 separate backdrops and outfits before setting up the cake smash. Weather your little one loves or hates the cake..I will capture it all! One Year sessions are booked between 10-11 Months. It's ideal to aim for when your little one is perhaps standing but not walking (but that's out of our control). Your session will include one year portraits that can include family poses if desired before the cake smashing begins.